Let Keina help you change at the workshop. Gaze at a starry night sky with Keina and reminisce about the past. Witness Lias bask in the glow of Rufus's approval. Hear the stories of Miss Totori and her friends. Construct a Pie Shop and visit with Rorona. Glimpse Gio lost in thought at the fort. Take a peek at Filly and Esty's intimate sisterhood. Find Rufus and Sterk getting along at the tavern. Encounter a master-pupil showdown between Sterk and Gino. Help Totori and Mimi get along. Suffer the indignity of a drunk's advances at the tavern. Watch as a legendary alchemist and her troupe visit the workshop. Run into Arland's manly masked crusader. Stumble upon Rufus's solitary tea time. Discover Hanna as she bathes. Force Keina to wear some princessly clothes. Visit the hot spring with a group of all girls. Reach the initial goal and help Arls merge with Arland. Battle the coffin-bound monster in the mine and emerge victorious. Ascend to the ancient city and cast down the ruler of the sky. Put the energetic spirit of the tree into an eternal slumber. Bring closure to the tragedy of Arls. Stare into the abyss and win out against the evil goddess. Brought peace to the forest by defeating the transformed spirit. Defeated all of the returned demons. Taught that unruly rabbit a lesson. Defeated the fake Meruru and her party. Achieved victory after enduring the attack of the Dragon. Stopped the entity from another dimension. Changed clothes in the dressing room. Return to your boring life in the castle. Make Arls rich, developing it into an agricultural powerhouse. Arm Arls to the teeth and take command of it all. Make friends with the forever-14 Rorolina Frixell. Transform Arls into a grand vacation paradise. Take Arls's population to the limit and turn it into a superpower. Become a hero and the land's strongest princess. Master alchemy and together become feared as the Four Witches. 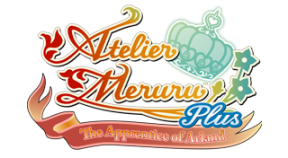 Become an alchemist of Arland and open Atelier Meruru. Construct a statue of Meruru to mark your achievements. Finally got Rorona back to normal.